Oh, I really love these “flight” images! Thank you, Merilee! They are such wonderful fliers, I love watching their movements. Your keen eye and those wild birds just grew my heart. That’s a fantastic comment, Brenda, thank you. So cute and small. Never seen or heard them before. Thanks for that link. Fun listening to them. They are very cute! 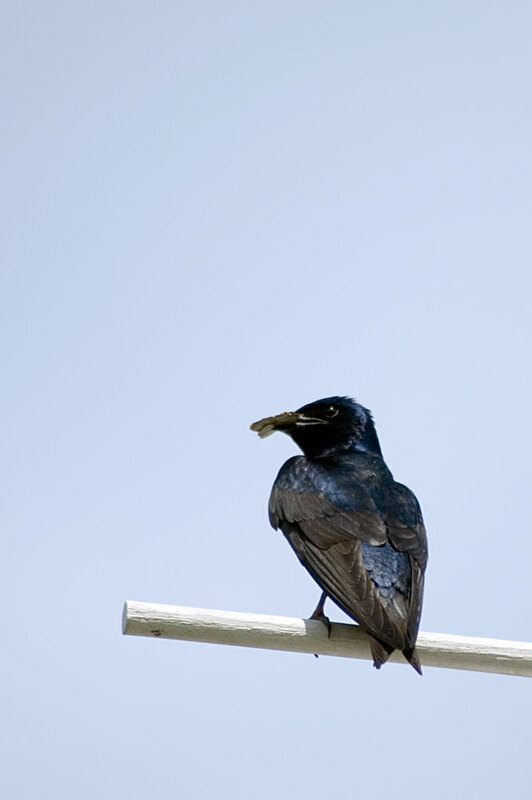 Purple Martins are a type of swallow. Thanks for your comment, I’m glad you enjoyed it. The swooping trio are like a gorgeous dance. Just lovely. Thank you, Jen. Yes, their arial acrobatics are amazing! Thanks, Bente. They are cool birds! Fabulous pictures Karen. I love the movement you have captured here! Brilliant pictures. I like the lushness of the birds in flight very much. There is something about birds in flight that seems so powerful, I’m happy you like them. Thank you, Rabirius! Especially liked the second picture, of the bird soaring in air. I like that one too, Shimon. The light worked out nicely. Thank you. They are sensational fliers, it would be a thrilling flying experience! 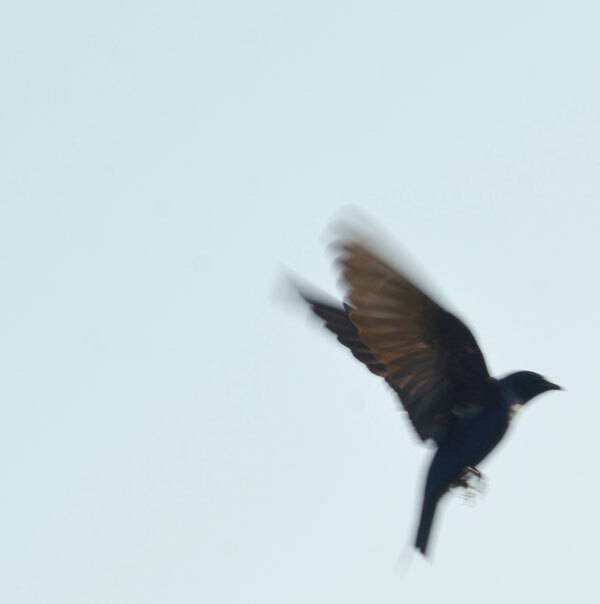 It did take a bit of trying, especially getting a decent manual focus – they are so fast! Lots of fun to watch. Great capture of the sense of movement. I wish we had purple martins around here. We do have a nesting pair bluebirds in the backyard so I can’t really complain. I love the minimalism of these shots, truly beautiful. Bird song is great, I liked the audio you shared! 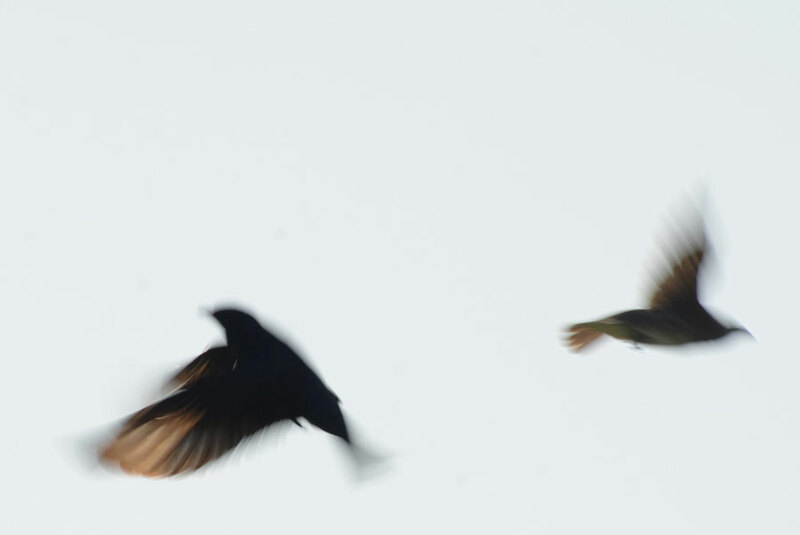 great photos, i particularly like the composite image with the three birds in flight. Lovely shots of the birds in flight. 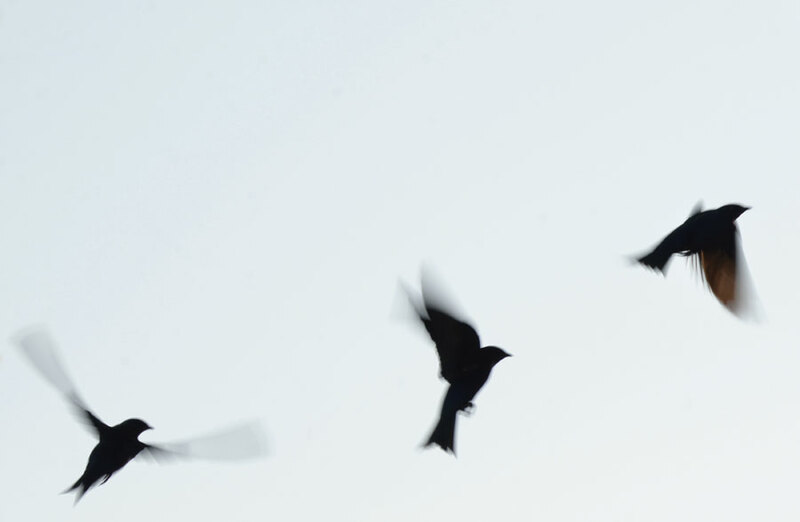 I love these images, especially the three birds in flight. You really captured the sense of motion, and the idea of the lightness of little birds. Adore the feathery lightness and motion in these great shots Karen. Happy summer ahead! The perfect blur. And, i’d never seen an aviary condominium before… Excellent. Your composite is really interesting for making the birds appear sociable – it’s as if they are striving to be together (and they obviously have a lot to say for themselves). These are great shots, Karen – really beautiful. Love the images of the birds in flight. Would be fab to hear a recording – a multi-sensory approach! 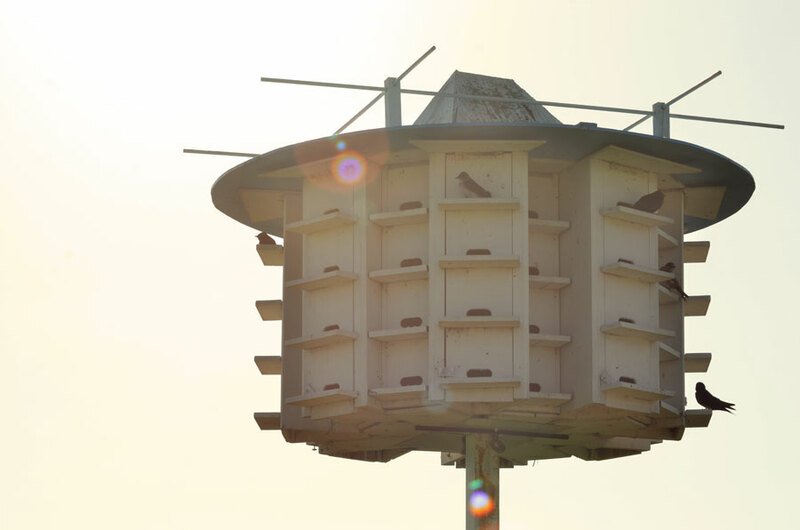 Purple Martins is such a beautiful name and made even more beautiful by these motion picture images. The sound recording is dazzling. Such an striking contrast, their house and them sitting, with images of them in flight. 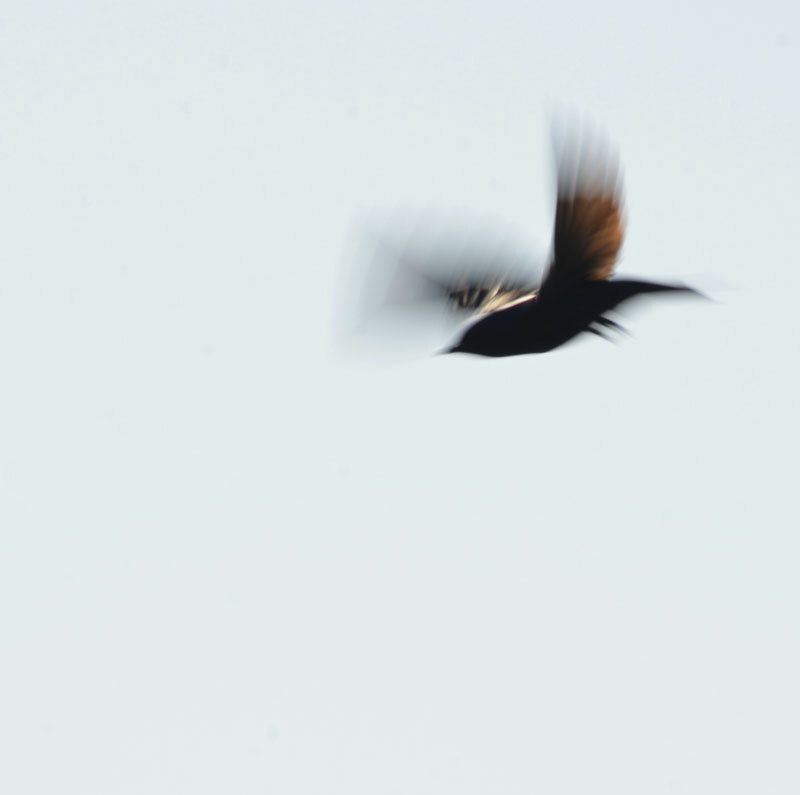 Effortless flight arcs … such beauty in these layered captures Karen . The third image is especially fascinating! It looks almost as a triptych of the same bird caught in three different poses. Beautifil photos, and sound! I like their “appartments” too, so many balconies to sing from! Look forward to seeing more of them. My cat was rather interested in the soundclip.